Okay, okay. I admit that I have a bit of a thing for a dark chocolate and hazelnut combination but when something works, it just works, right? 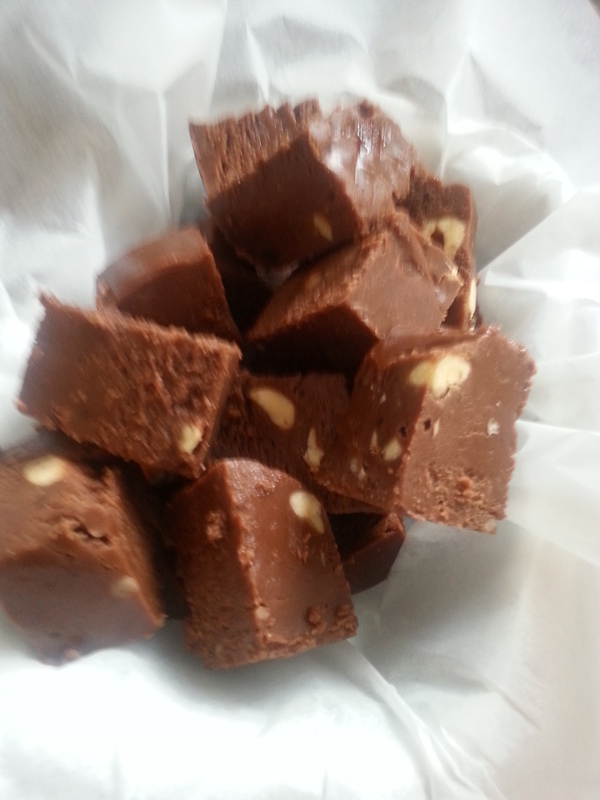 Here it is, the recipe for my dark chocolate and hazelnut fudge, I made this using a few leftover buts I had from when I made my Caramel Fudge (see earlier post) it makes enough if just for yourself and a friend but for bigger portions just double (or triple needed) the quantities used. 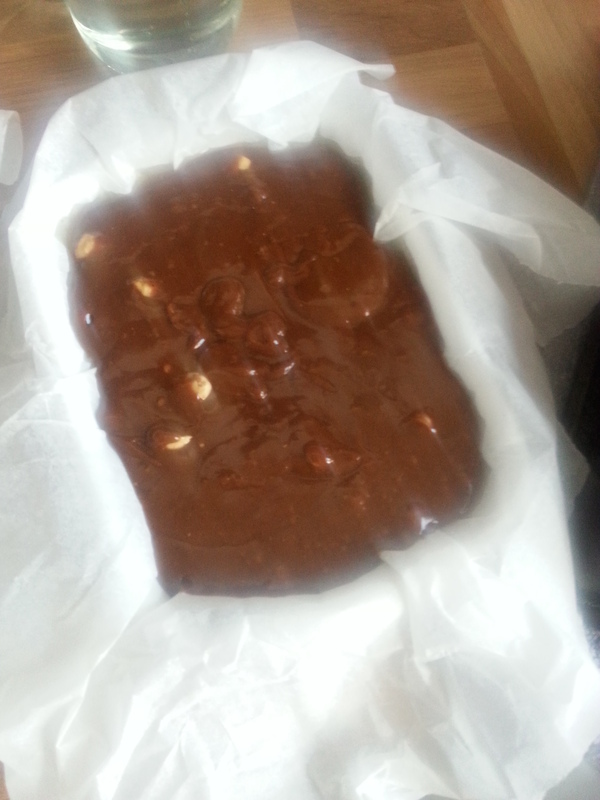 Line a high sided baking tin with baking paper and grease well. 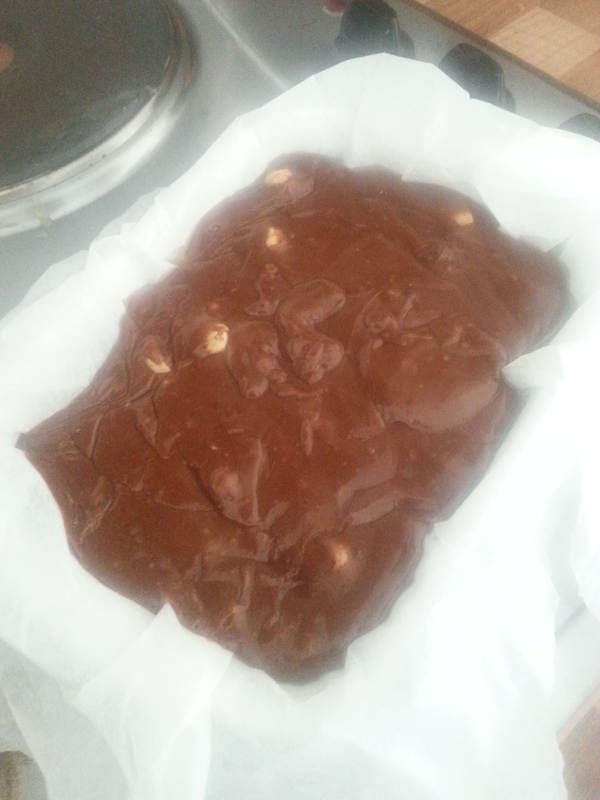 Roughly chop the chocolate to break up the hazelnuts. 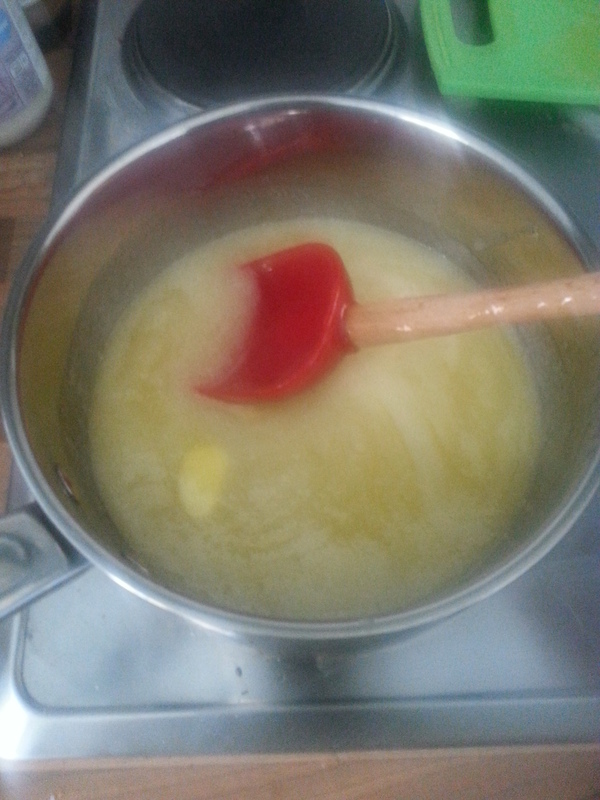 In a medium pan add the double cream, sugar, butter and glucose and melt together over a medium heat. 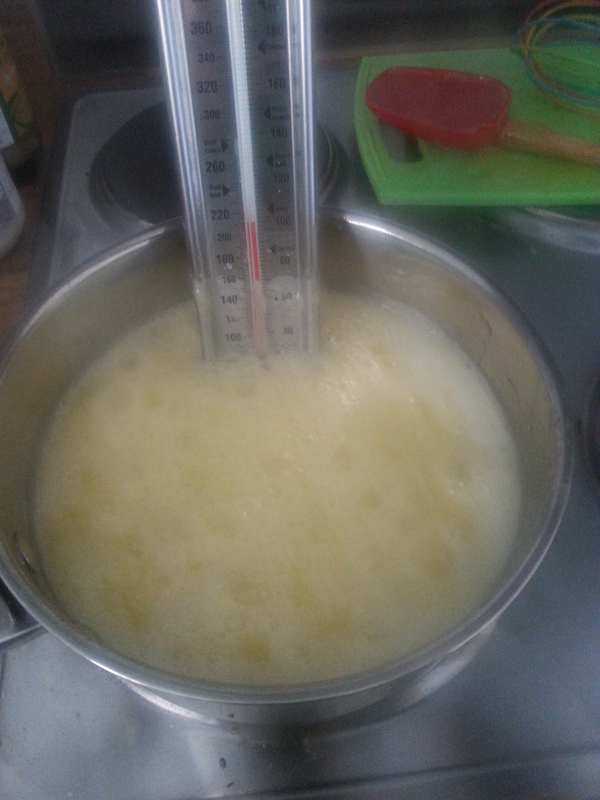 Once all the ingredients have combined together, turn up the heat and continue to heat until 110 degree Celsius (this is where you will need the sugar thermometer). 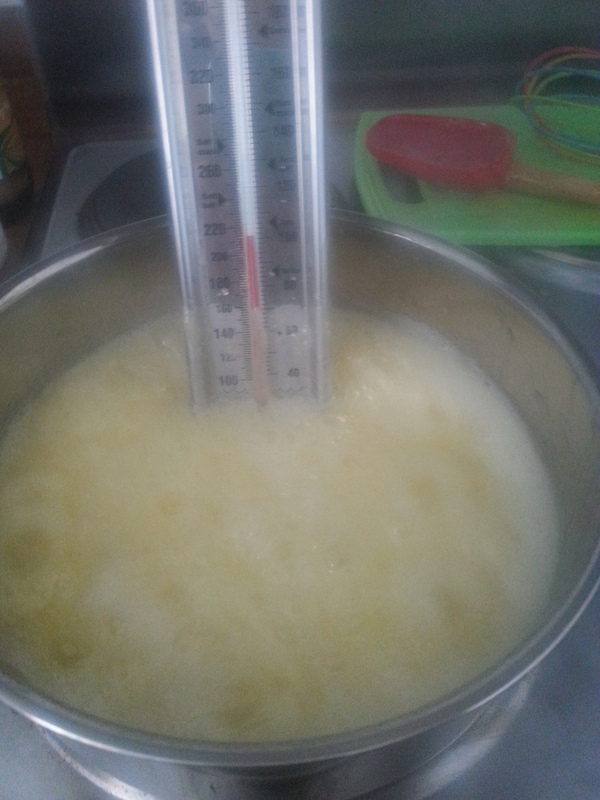 Try not to stir the mixture too much but you will need to to prevent the mix burning and just remember be careful because sugar work is hot!! 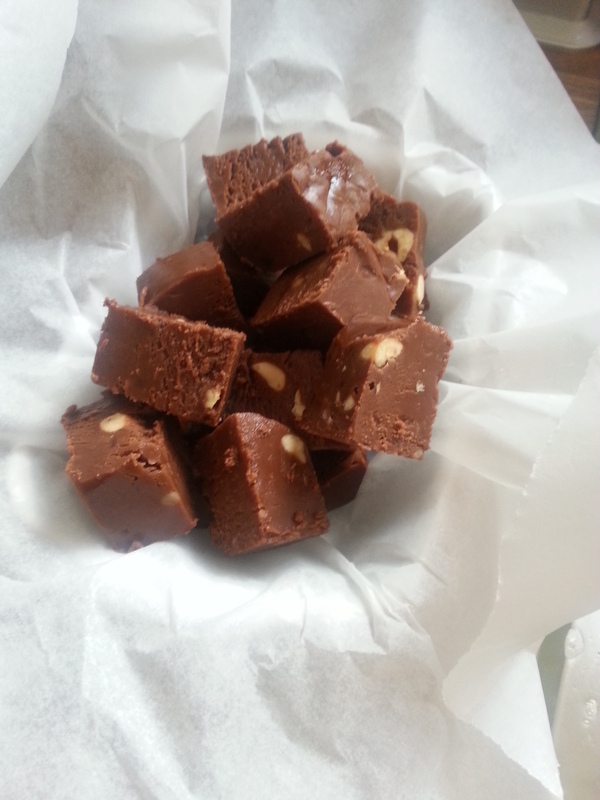 Once the mix is up to temperature, take off the heat and stir in the chocolate until fully mixed in and the mix is smooth and glossy. 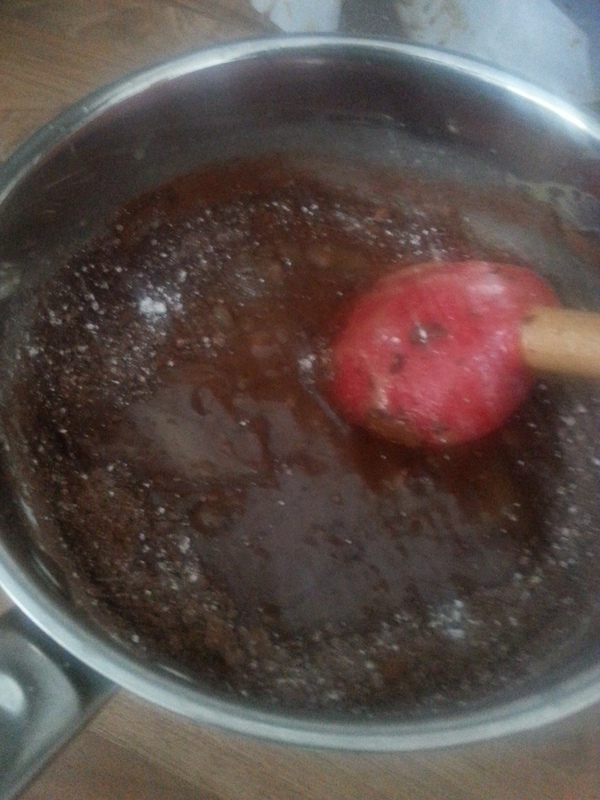 Next, whisk in the cocoa and icing sugar, be careful as the mix will still be extremely hot. 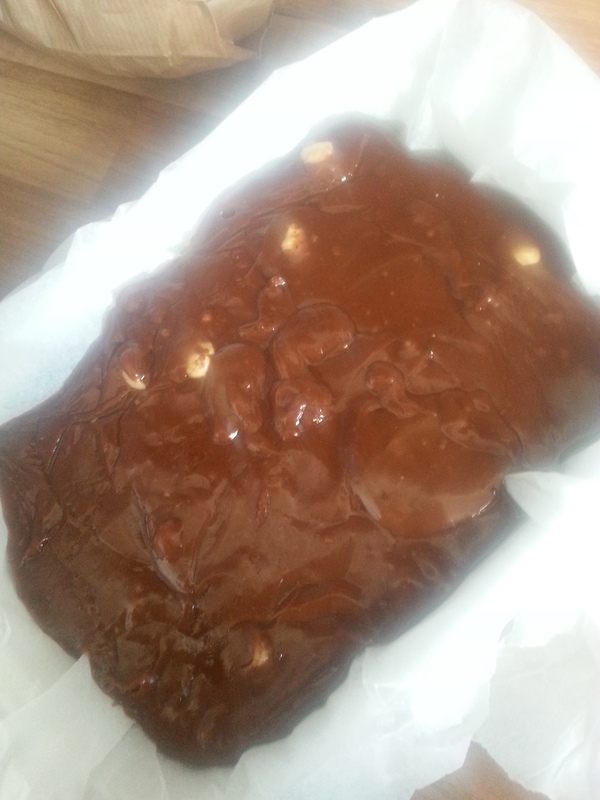 Once everything is all mixed in pour the fudge mix into your prepared tin and leave to cool and set for a few hours. 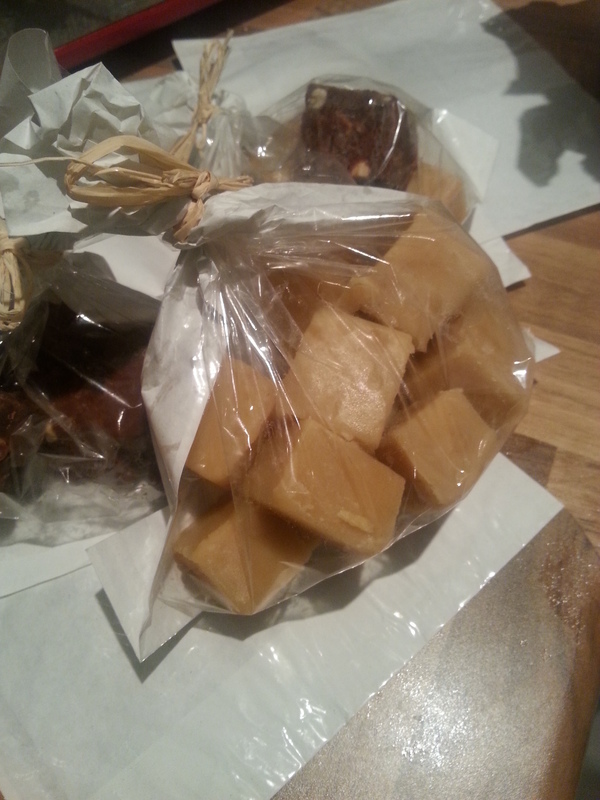 When the mixture is set chop up into nice little (big) squares and enjoy. 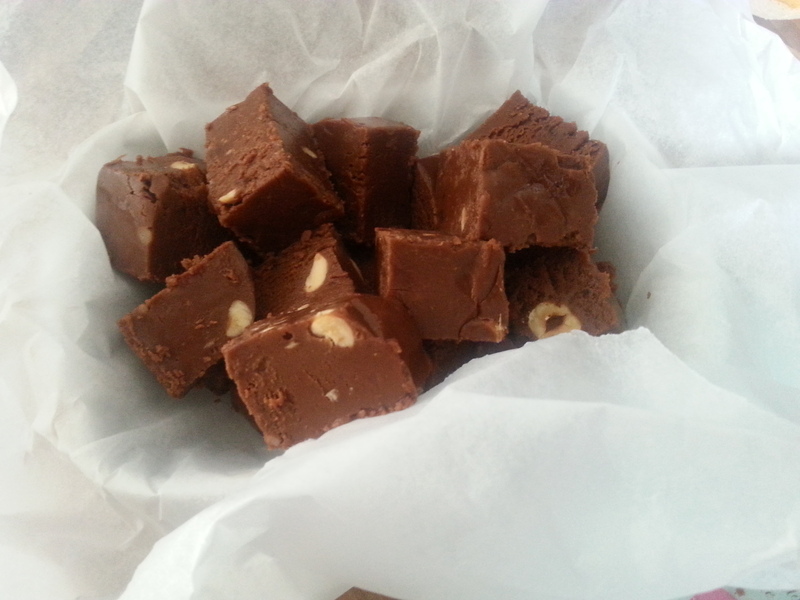 I’m getting into the swing of fudge making and really happy with the results, can’t wait to start experiment with some new flavours. If you have any that are worth a try, let me know. 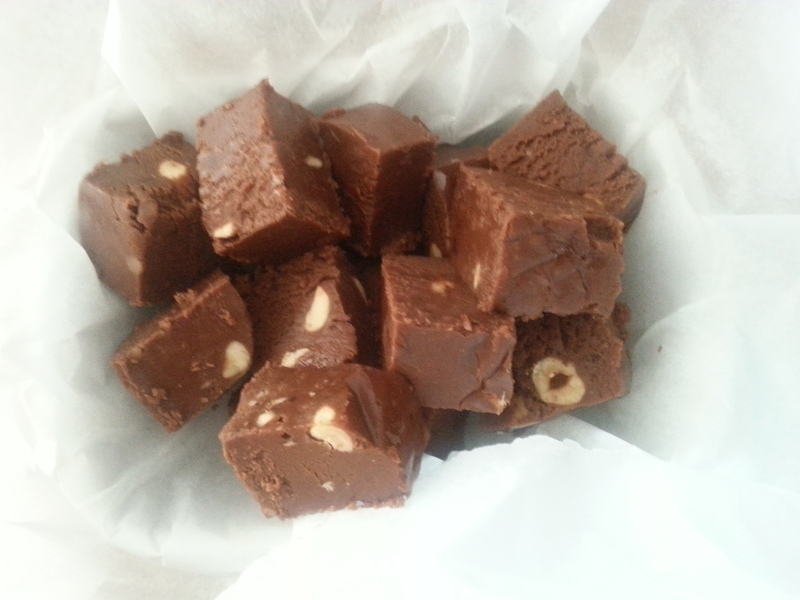 Oooh, fudge is my weakness.